Does this mean that you can leave work whenever you want to? Not necessarily. Does this mean that you can tell your boss, “I’m not working weekends ever again?” I wouldn’t recommend it. For lawyers, boundaries are less about saying what you’re not going to do and more about common sense proper planning for self-care. If you work in a firm and want to set a boundary of leaving work a little earlier every evening, then you can choose to get to work earlier in the morning so you can get your work done and leave at that earlier time. If you know that you want to take extra time off for Christmas, then you can communicate that with your partner(s) so that briefs and other assignments can be completed early or the proper time extensions can be requested and granted. For lawyers, it is not uncommon to be emotionally dragging near the end of the year. 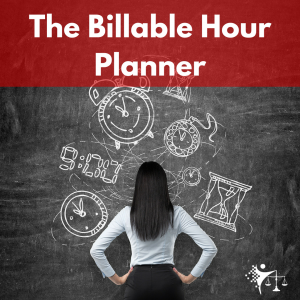 You’re closing out a billable year, which can be emotionally exhausting, and you’re getting ready to take some much deserved time off. It is easy to tell yourself that you should take less time off and get a head start on the next project or the next case. But if you set boundaries for yourself and make self-care, rest and relaxation a priority, you are more likely to take the time off that you need. When you take this time off, you will be more mentally and emotionally prepared to start work in the new year. So, set your boundaries, not only for the holiday season, but for the whole year. See what happens when you set realistic boundaries at work and make yourself a priority.